Buying a business projector or classroom projector (as these projectors share the same features for presentations) do require some research as you are spending a significant amount of money. You should match the features with the purpose of buying. For example, if you are not planning to give presentations in large conference rooms, you don’t require high brightness although it is a key factor. Therefore here we list the best business projectors with purpose and uses explained. This will hopefully make your selection easier as we cover all the required features in a business projector. What to look for when buying a business projector? Projection technology: Look for DLP or LCD projectors, LED, 4K, 3D etc are not needed in a business scenario. Resolution: For a business projector, 720p is enough if you are budget conscious but you can go for 1080p too if you plan to show many videos (for classrooms). Brightness: Look for 2500-3000 ANSI lumens projectors. This is enough for most of the classroom and business purpose but if you want to use it in large conference rooms, go for 3000+ lumens. Connectivity: The connectivity options are important in this technologically advanced world. Check to see if the projector has multiple interface ports (USB, HDMI, Network, CompositeVideo, etc.) to accommodate your needs in terms of being able to connect different video sources to the projector. Lamp life: For a non-LED projector, a listed lamp life of 3000 hours or more is excellent. Some projectors come with mode choices, such as “eco-mode” that allow extended lamp life, and cut down on operating costs. While buying a classroom projector you will be looking for a one which got good quality brightness, less maintenance cost and equipped in a long run process. Over the past few years, almost all the classrooms are equipped with technologically advanced projectors, which obviously became a school priority. Another important aspect of the mind is they should be under the budget. We have selected the best classroom and business projectors to suit your need based on the tests conducted and user reviews examined. Optoma S341 is an affordable, mid-range projector especially designed for presentation purposes. The projector was enriched with good features to compete in the market. Let’s take a look at the major highlights of this product. Optoma is one of the major manufacturers as I already specified, and in the case of S341 also it is highlighted with its sleeker design and black exterior. It offers cooling around it so it enhances the life of the bulb. The connecting points are grouped at the back of the projector which helps to avoid juggling of wires. It produces a very good quality image with a contrast ratio of 22,000:1, which is one of the significant features. Due to the high-quality lens, it produces clearly visible texts. The projector has a resolution of 800*600 and an aspect ratio of 4:3. It offers a brightness of 3500 lumens and a lamp life from 5000 hours to 10000 hours respectively for full power and eco mode. It has a maximum power of 253 watts with a 100V TO 240V. And weights 2.2 kg and a size of 10*30*23(H*W*D). The image size varies from 69 to 774 cms. In connectivity part, it offers both VGA in and out. This means that you can connect your computer to the projector, then the projector to your monitor. This allows you to have your monitor in front of you, so you can see what’s on the screen at all time. Another bonus feature is the inclusion of a USB power source. If you’re using a streaming device such as a Chromecast, you’ll need this USB port to power it. In the case of the audio system, it provides 2.0 mono speakers which help you to eliminate additional speakers in a smaller room. Another user-friendly feature is Eco AV mute so that you can stay in control of your presentations. Again, I would like to rate it as the best and you can simply rely on Optoma S341 features for your budget and it will full-fill the purpose. Epson is a Japanese electronics company and one of the world largest manufacturers of computer and imaging equipment. Its growth was immensely faster after its inception in 1942 as a watchmaking factory. Epsonwas well known for its quality products and offers a wide range of projectors in all segments. We will run through the features of Epson VS250 classroom projector, one of the highly moved projectors in this category. With the truly affordable price and a lightweight design, east setup this becomes a positively reviewed projector with all essential business features. It features 3000 lumens of brightness in both color and white light output. It has an SVGA resolution of 800*600. The contrast ratio of VS250 is 15000:1. The lamp life is another important feature with two modes likely High-efficiency E-TORL lamp lasts up to 5,000 hours in normal mode and up to 10,000 hours in ECO Mode. It has 3x brighter colors which is one of the major factors that differentiate it from the competitors. VS240 uses 3LCD, 3-chip technology for brilliant images with true-to-life color. It has HDMI connectivity with which includes all digital, HDMI audio and video connectivity for HD with just one cable which is compatible with the latest version of laptops and media players. Along with this, it has a VGA port Three RCA jacks for audio/video and USB type B port. A manual keystone correction which enhances vertical and horizontal movements. It’s a portable device with a weight of 5.3 pounds and measure of 3.2*11.7*9.2 inches(HWD). It procures an aspect ratio of 4:3 and has got a light engine with 3LCD technology which was developed by the manufacturers for better quality. One of the disadvantages is low audio output and no optical zoom. I would like to rate it as GOOD and will be a good choice for schools and business with reasonable price. As I already said about the features of Epson VS250, I would like you to take another major moving product of Epson ie, Epson VS 340. One of the major drawbacks of Epson VS250 was it lacks optical zoom. The major differences between these two are it has got 1.2 X optical zoom which helps flexibility in projector placement. The device is portable with a weight of 5.3lbs and is less expensive. It has a rated brightness of 2800 lumens LCD-based data projector with XGA (1,024-by-768) resolution. The contrast ratio is 15000:1 and aspect ratio is 4:3(XGA). The maximum power is 291 Watts and voltage from 100V to 240 v. The size of the projector is 8*30*23 and the lamp life varies from 5000 hours to 10000 hours on Full power and eco mode respectively. It supports image size from 75 to 762(in cms). 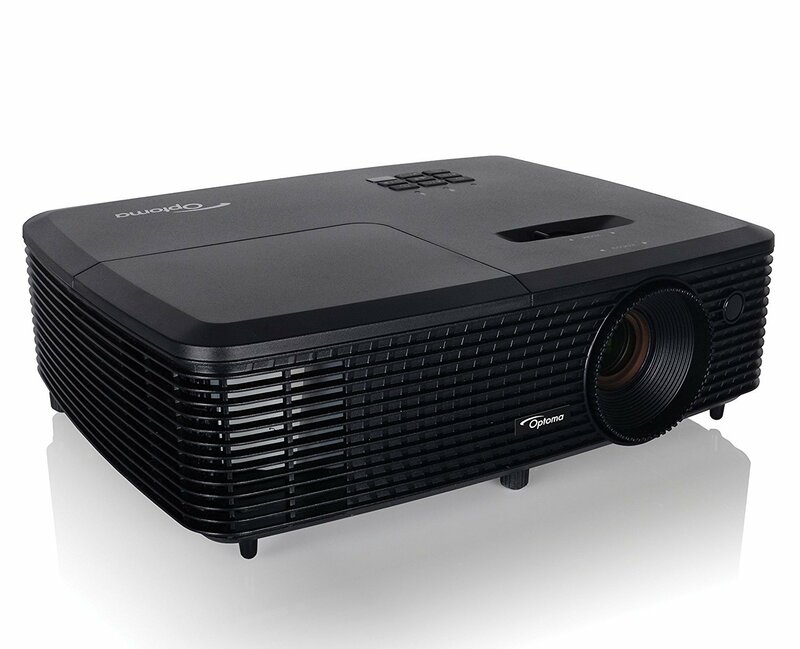 The VS350 sits between the Epson VS240 and the Epson VS345 WXGA 3LCD Projector in terms of both price and resolution. 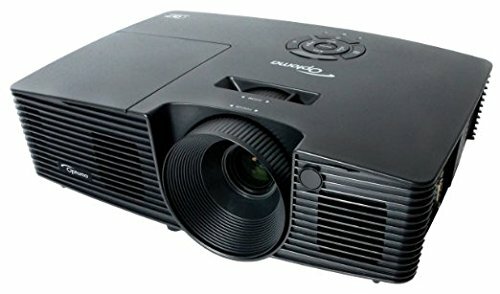 While taking the connectivity part VS350 offers a good port selection for a low priced projector. It includes a VGA port (which doubles as component video), an HDMI port, an S-video port, and three RCA jacks for composite audio/video. A USB Type B port supports USB plug and play, which can mirror the contents of your computer screen, and a USB Type A port can take either a USB thumb drive or an optional ($99) Wi-Fi adapter. The sound system with its 16-watt speaker offers good quality sounds. While going for a performance check from 8 feet away from the screen it projected a 55-inch image of good quality ambient light. The VS350’s data-image quality is typical for an XGA projector. White type on black is easily readable at sizes down to 7.5 points, while black type on white is easily readable at sizes down to 9 points. Some disadvantages what I noticed is it has a soft audio and lacks a carrying case. Otherwise, it offers good value for the money and its a budget projector for school and business options. It is built up with typical Optoma Design with large vents and all the control buttons are placed at the top of the system for easy use. It is easily portable with a light weight of 5.2 pounds and the measurements are 11.7 inches by 9 inches by 3.8 inches, which makes it looks small. The panel consists of VGA, HDMI, USB, Audio Out, RS232(DB -9pin), Audio In( Mini Jack) and VGA out. It comes under the category of WXGA resolution Projector. You will get quality images with a resolution of 1280*800. To be frank, it I not as good as 1080p HD or 720p HD but it can serve your purpose for a conference hall or classroom. If you are looking for a projector of 1080p HD or 720p HD it will be more expensive. In order to get the maximum quality a color wheel inside this projector helps to transmit the billions of individual colors in great accuracy to the big screen. The contrast ratio of 20000:1 helps to enhance the quality of the picture and determines the boldness and depth of blacks and whites. You will be able to view the dark movies or dark images without any distortion and the adverse effect of natural light won’t affect badly. The above features make it perfect than 720p HD. When you look into the brightness part it offers an excellent 3200 lumens. Pixels with this kind of performance level will help you to operate the system even in the presence of moderate light and ensures quality images in different environments. It offers a lamp life of 1000 hours while comparing to the average lamp life of 6000 hours of similar products, which is one of the special features. In my testing, I found out that you will get readable images at a throw distance of 120 inches at 7 feet back. 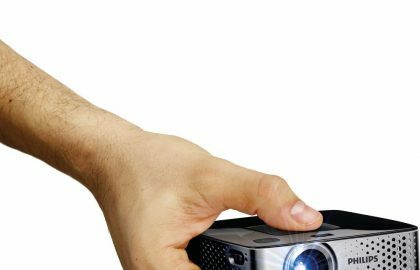 You will experience all the benefits of a 3D projector because it is coming up with HDMI 1.4a which reads all the 3D formats and even supports Blue Ray player or 3D TV. As already mentioned it has got a low pixel rate of 1280*800 which creates a hindrance to 3D images. In order to overcome that the system is inbuilt with the upscaling technology. ie it upscales the frame rate and images to 120 frames per second and 1080p respectively which helps the screen to look like full 3D in 1080p. In the audio part, the built-in 2.0 W Mono speakers provide excellent sound for a small conference hall or classroom. You don’t want to pay for additional external speakers. The Eco AV mute helps you to stay on with your presentation by blanking the image when no longer needed. The Auto power off helps to save the energy by automatically turns off the projector after a set period of time. The set up is very easy because the whole thing is calibrated too high standards. There is no Keystone, in my opinion, which is good and instead, it consists of manual and horizontal adjustments. You will take only 10 minutes for the whole set up. Very budgeted and affordable projector which ensures 1080p HD quality and 3D experience. It ensures clear visibility at a throw distance of 120-inch screen which satisfies the demands of a small room. The long lamp life saves your money and the easy set up makes it one of the fast-moving projector. The Optoma X305ST delivers bright, crystal clear XGA resolution images ranging in size from 39.3″ to 196.7″ diagonal. It produces 60-degree images from just 77cm away. It has vivid colors with a projection of 3000 ANSI lumens. It offers a lamp life up to 10000 hours and like X312 it reduces 70% of energy savings. Another characteristic feature is it gives a shadow-free image on whiteboards. The XGA short throw, Full 3D X305ST at 3000 ANSI Lumens is designed to display bright, rich, colorful, crystal-clear images for both the education and business environments. Projector with Texas Instrument’s DLP with Brilliant Color technology feature multi-color processing to produce accurate and vibrant colors on the screen It has a resolution of XGA 1024* with a contrast ratio of 18000:1. It is easily portable with a weight of 2.55 and a dimension of 288*220*89(W*D*H). The projection distance is 0.5 to 2.5 meters and a maximum resolution of UXGA 1600*1200. The power supply is 100 to 240V. The 3D features of Optoma projectors can only be used with compatible 3D content. Typical applications include use with 3D educational or 3D design and modeling systems. 3D TV broadcast systems, (SKY in the UK), Blu-ray 3D™ and 3D games from the Sony PS3 or Microsoft Xbox 360 are now supported as part of the HDMI v1.4a specification. You can get the 3D compatibility mode through side by side, top and bottom, frame packing and frame sequential. On screen displays 19 languages and standard accessories include Lens cap, AC power cord, VGA cable, remote control, 2x AA batteries, quick start card, CD user manual. Again another highly featured classroom projector which gives value for your investment. 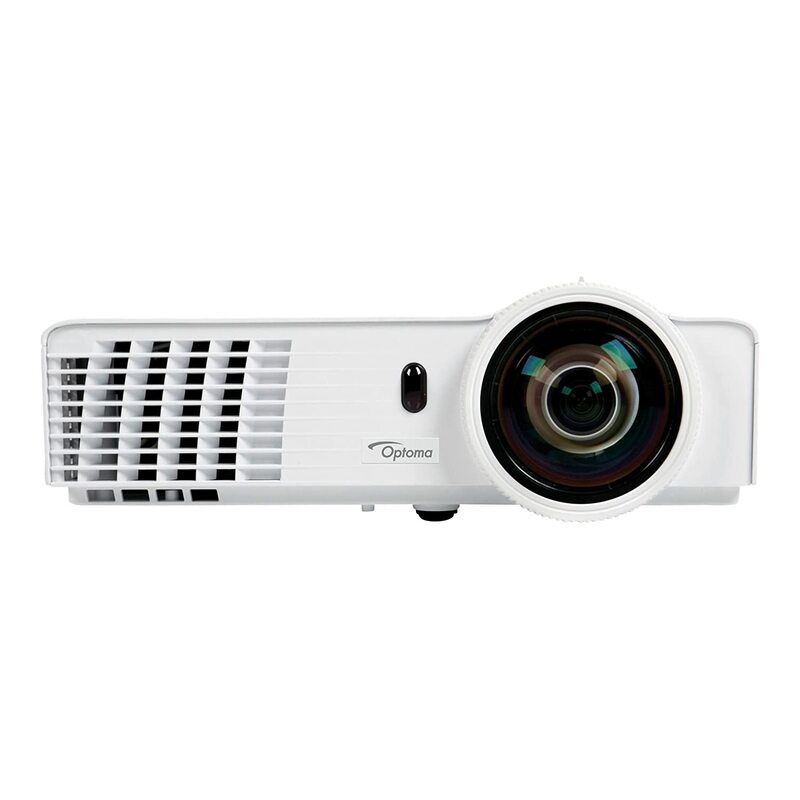 Optoma is Taiwanese manufactures in gaming, business, and classroom and home theatre projectors. They are the prime manufactures in of DLP projectors. It provides brilliant color, bright images, rapid on-off feature, password protection, and a wide range of connectivity options. 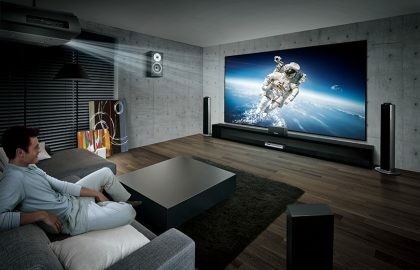 When you are thinking of buying a projector you would prefer the weight, clarity, connectivity and audio technology as I mentioned earlier. Optoma X312 is designed in such a way that it meets the classroom and meeting room demands. It weighs just 5.2 lbs which can be easily portable from one place to another. It has a brighter projection with 3200 ANSI lumens and 20000:1 contrast ration in HDMI input. The maximum power is 233 watts and voltage of 100 to 240. The lamp life is another good quality with 5000 hours. It has got 3D compatibility and inbuilt speakers and XVGA resolution. These features make Optoma X312 is a high-end projector that brings the power of a professional device to the convenience of any conference room, training room etc. While taking the connectivity part it can be easily connected via HDMI cable and it can display 3D content from almost any 3D source, including 3D Blu-ray players, 3D broadcasting etc. As already said it has got inbuilt speakers which nullify the need for costly external speakers. Another important feature is the Auto Power off system which helps to save the energy while not in use. It has got specially designed lamp modes which reduce the power consumption by up to 70%. The projector is designed with Eco AV Mute which directs your audience’s attention away from the screen by blanking the image when no longer needed. If you are looking for a portable classroom projector which enhances 3D facilities under a decent amount, this might be the one which satisfies you. This product aimed at the presenter that is looking for high brightness at low cost. It is portable, widescreen WXGA(1280*800) DLP projector. With 3350 lumens it fits the price with $450.Another important feature is that it reduces power consumption up to 70% and extends the lamp life up to 10,0000 total hours. It includes VGA cable and remote control with batteries. 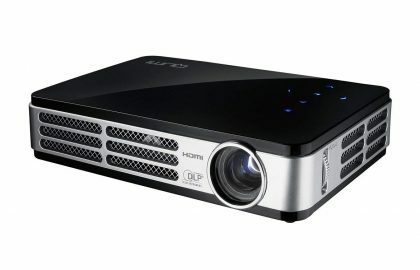 It includes a 3D Blu ray compatible HDMI 1.4 jack and enhanced sound output via its sound expert technology.It is a compact size projector and weights 4.63 lbs which allows portable movement.It offers a solid combination of high brightness, projected low maintenance costs, and a great warranty. For the school or business on a budget that needs high brightness but doesn’t require extreme color accuracy, the PJD5555W is perfect. 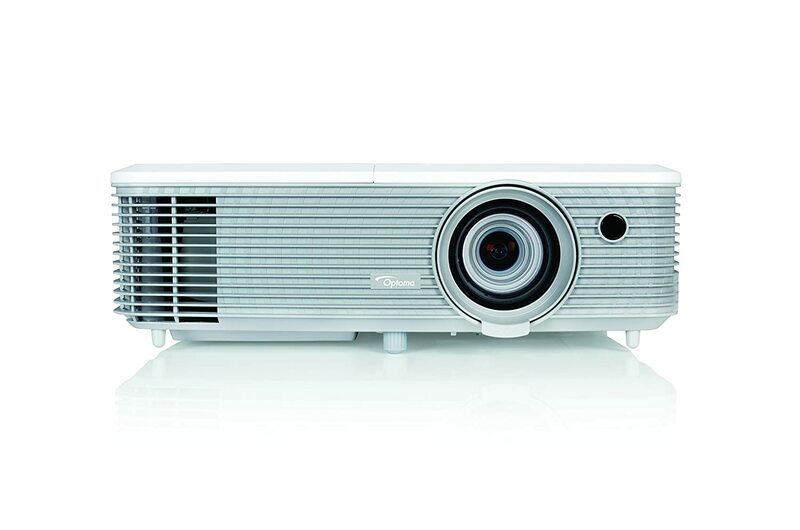 The above features place the PJD5555W top of the family with similarly styled projectors. The wireless WXGA 3 LCD projector Epson EX7240 is specially designed for high-quality images for data and offers excellent brightness. It is portable due to its lightweight and ensures minimize running costs because of its long lamp life. Epson EX7240 is one of the strong contenders because of its excellent features like above mentioned high brightness which rated at 3200 lumens and watchable video as well. It can be compared with Epson Powerlite 955WH WXGA 3LCD Projector and the key difference is Epson Powerlite 955WH is expensive and the zoom lens category is 1.6x. Because of its greater zoom Powerlite gives more flexibility in placing the projector but in turn, the weight increases which make the PowerLite bit less convenient to carry. Epson EX7240is built on three-chip WXGA LCD engine which has its own advantage over single chip projectors like it eliminates rainbow artifacts which are always a concern with DLP projectors. Another important benefit of three chips is it delivers the same color brightness as white brightness. It weighs 5 pounds 5 ounce and the dimension is 3.2 by 11.7 by 9.2 inches (HWD). A soft carrying case is shipping with Epson EX7240 which helps you to store the device in a comfortable manner. In the setup part, it comes with manual focus and zoom. The back panel includes a VGA port, an HDMI port, and composite video ports. It supports Wi-Fi connection HDMI port supports MHL. It has got both USB type-A port and USB type B port which enables reading files directly from USB key and direct display and control of the computer mouse from the projector remote. 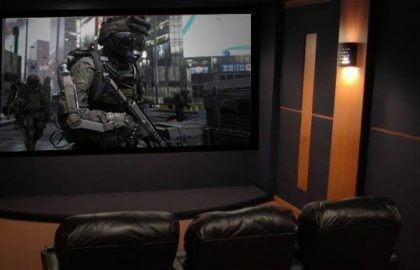 The aspect ratio of the projector is 16:10. You will be witnessing an excellent brightness for the 140-inch image. The preset modes help you to adjust the brightness for smaller screen sizes. It offers excellent quality data images using the predefined modes. In the presentation mode, the quality becomes a slight low because of annoyingly low ratio. Epson EX7240 coming up with 2-watt speakers which deliver enough volume and high-quality sound which is good for a conference room. If you are looking for a device which is lesser budget and easy portable you can definitely go for Epson EX7240. One of the major features of EH416 is the 1.6x zoom which makes it perfect for presentations. It comes up with a Vertical lens which eases installation. EH416 comes with a carry bag which makes it perfect for presentation and classroom training. Optoma EH416 is one of the best in the business for educational purpose and for home use too. Why I am saying it because of its 1.6x zoom which makes the images perfect as I quoted above. It has a resolution of 1920*1080 and an aspect ratio of 16:9. It offers a brightness of 4200 lumens and a contrast ratio of 20000:1. The SRGB support enables rich accurate color when you connect it with Mac, PC or any sRGB compatible source. If you are using a colored wall, chalkboards or whiteboard probably for conference or classroom training, this feature will help you a lot. You can connect your smartphone or tablet with a single cable using MHL, which helps you to stream videos and view presentation. Even MHL helps you to connect and power the HD cast Pro. While talking about lamp life it ensures 3000 hours in full power mode and 7000 hours in eco mode. It has vertical lens shift with a throw distance of 1.3 -9.4 in meters. The image size is 67-770 cm and the throw ratio is 1:40:1 – 2:24:1. The maximum screen distance that you can afford is 31 ft. The power consumption is 309W (Operational) and 0.5W (Standby). The nominal voltage required is AC 120/230V. It comes with a full function laser pointer remote. It weighs 2.9kg and the size is 11*31*22(H*W*D) in centimeters. The eco AV mute helps you to stay on with your presentations by blanking your image which helps you to direct your audience attention away from the screen. For power saving, it possesses “Auto Power Off” mechanism which helps to save energy when the projector is not in use. The connection is Composite (RCA) and has got VGA in, Audio Out (Mini Jack), RJ 45 network, USB port (4 pin USB Type A & mini USB Type B), HDMI 1.4a, HDMI (MHL), Audio in and VGA Out. It offers excellent audio support through 10W Mono speakers which help you to avoid external speakers for an averaged sized room. Overall, it is one of the best in the business with excellent image quality and easy to set up, with a good audio output. When it comes to LG, one of the prime brands that prevailing in the market for a long time, PW800 Mini bean is one the prime product in projector category.One of the major features from a customer perspective is that it is small, easy to carry, lightweight and attractive. PW 800 mini bean is LED powered single chip DLP pocket class projector.Some of the major products compromise on image quality for hardware aesthetics, this one is entirely different. As already stated due to lightweight it is the best one for a traveling businessman which connects to PC or MAC. 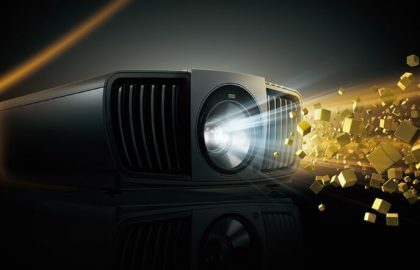 It weighs 1.3 pounds(0.59kg) much lighter than most projectors.The dimension of the projector is 5.5*2.0*5.5 inches, with a beautiful DLP LED projector bulb and an 800 lumens lamp, which feels even brighter than its stated power.It can display images from 25 feet to 100 feet with WXGA(1200*800) default resolution. The PW800 has a contrast ratio of 100,000:1 and has a lifespan of up to 30,000 hours. The projector supports DLP link glasses and the projector bulb is 3D capable. You can connect to the LG PW800 via VGA, HDMI (MHL-Ready), RGB in, composite AV in, and an audio out port. Outside of that, you can also connect to the PW800 projector using its WiDi (Wireless Display)technology. The LG PW800 creates a wireless display function to connect Android devices and other Intel WiDi-ready devices.